What’s better than a packaging that combines uniqueness, design, safety and sustainability? It’s simple; a packaging that combines all these features but is also a privileged channel for corporate storytelling. We are not talking about iconic figures such as big brands’ ones, that can tell a story by themselves (like the Coca-Cola glass bottle); we talk about true storytelling, that is the possibility of combining exclusive contents with industrial packaging that can complement and make shopping experience even more unique. Just a dream? Absolutely not! We are talking about StealthCode® technology combined with aluminum packaging! StealthCode® technology is the interactive and dynamic solution based on Digimarc Barcode® technology. A very thin texture, almost imperceptible to the human eye, is printed on the entire packaging surface, but with no limitation in terms of graphics and design. But you just need to scan any point of the packaging with your mobile phone to be redirected to a web page with content dedicated to the product, updatable in real time. The “magic” is made possible by the mobile app StealthCode®, downloadable for free from the stores and available for Android and iOS. The code inserted can not be duplicated and the IT security systems prevent it from being read if they do not comply with the required standards. Favia and Beegraphic together for a new experience in packaging industry. Tubettificio Favia has decided to offer to customers the possibility of applying StealthCode® technology to ToBeUnique tubes. For this reason, it has partnered with BeeGraphic, a leading company in the services sector dedicated to the “Global Packaging Industry”. A synergy that allows you to make ToBeUnique … even more unique! in pharmaceutical industry: the app allows you to go well beyond the classic “leaflet” in paper, referring to a page of advice for the correct drug use or to lead a healthy and active life. The code can just refer, simply, to the company website, to the page of a competition or an event. The only limit is your imagination! ToBeUnique is an innovative digital printing method which involves both the aluminum tube and the plastic cap in a single printing process. A unique in the world method also a Tubettificio Favia’s exclusive, which thanks to its uniqueness proves to be crucial also in terms of anti-counterfeiting. Thanks to the collaboration with BeeGraphic, ToBeUnique becomes an interactive design tube, a leading actor for real corporate storytelling and unconventional marketing campaigns. Do you want to have more details or a concrete example? 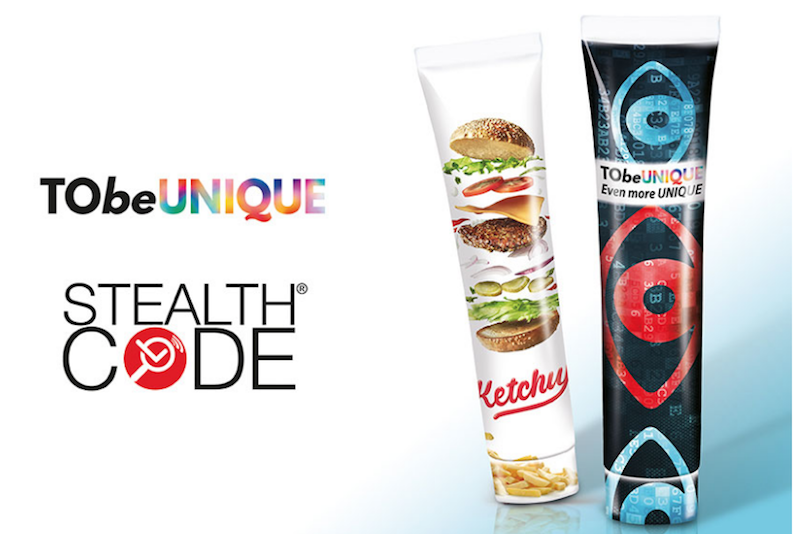 Contact us: we will be happy to meet us and present a sample of ToBeUnique tubes with StealthCode® technology.